George Clooney Pranked Matt Damon Into Thinking He Was Gaining Weight, But How? George Clooney has become known for pranking his co-stars on set, but his latest shenanigan is far more intense than any that have come before. George Clooney pranked Matt Damon into thinking he was gaining weight and if you couldn't tell, the fact that this was a prank means that no weight was actually gained. No protein bars were added to his diet à la Mean Girls. No butter was secretely added to his meals. Clooney simply made Matt Damon feel bigger, by making his clothes smaller. On last night's Tonight Show, Matt Damon told Jay Leno that he didn't know he was even being pranked while filming The Monuments Men, he found out when he read about it afterward. "I read finally, which answered a lot for me, that he'd been taking my wardrobe in, my pants in, by an eighth or a sixteenth of an inch every couple days." That's insane! So advanced! So subtle! This is like when Jim on The Office went from putting Dwight's stapler in Jello to training him to have a breath mint addiction. This is next level pranking. Damon went on to say that Clooney encouraged him to lose weight in the first place. "He had said, 'Yeah, we're going to get in shape' ... So I was working out and the pants would — I was just like this can't be. I never said anything to him which he probably loved even more." 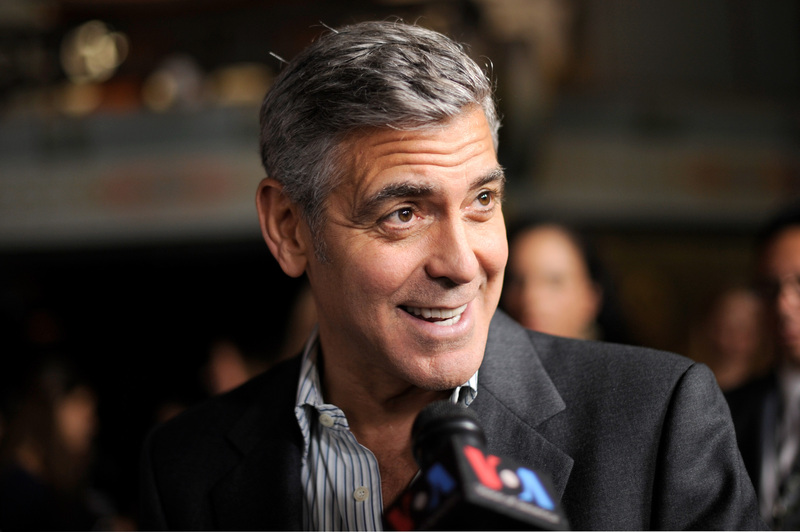 Clooney has had this particular prank on his mind for a while now. The actor spoke with E! News back in November and revealed that the wardrobe trick is a favorite of his. '"I do enjoy whenever an actor's trying to lose weight having the wardrobe people take in their clothes. It just makes me laugh, watching them eating like a grape the next day." Who knows if he's done this to anyone else before. If he has, they might find out when reading about it like Damon did. While Clooney has really upped the pranking game single-handedly, the real unsung hero here is The Monuments Men's wardrobe department who kept their lips shut while likely listening to Matt Damon's utter confusion through out all of this.